From 1978 until 1999, Orion Pictures was a studio that made several brilliant films that sometimes-won awards and nominations (AMADEUS,1984; THE SILENCE OF THE LAMBS,1991) but also had many box office failures and behind the scene intrigues that prevented it from becoming a new United Artists. In fact, several of Orion’s board were former U.A. executives who were looking around for a successful action franchise along the lines of James Bond. 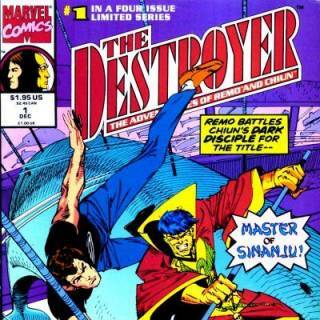 The series that they decided upon were “The Destroyer “book series created by Warren Murphy and Richard Sapir. The series continues to this day (145 and counting) with Murphy’s son Will picking up the mantle. 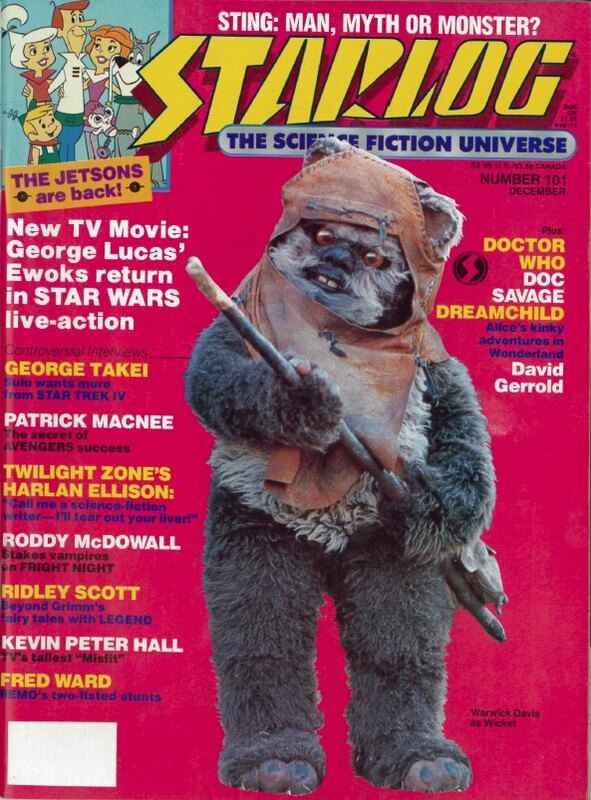 The idea for a film was shopped around by producer Larry Spiegel (he had written several episodes of tv’s RETURN TO PLANET OF THE APE series (Fox -tv,1975) as well producing John Huston’s little seen horror thriller PHOBIA(Paramount,1980)) and he presented the Orion executives what they thought would be a lucrative series. To keep the idea of being a competitor to the Bond films, they hired director Guy Hamilton (GOLDFINGER,1964, U.A.) 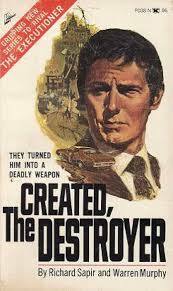 and screenwriter Christopher Wood (THE SPY WHO LOVED ME,1977, U.A.). 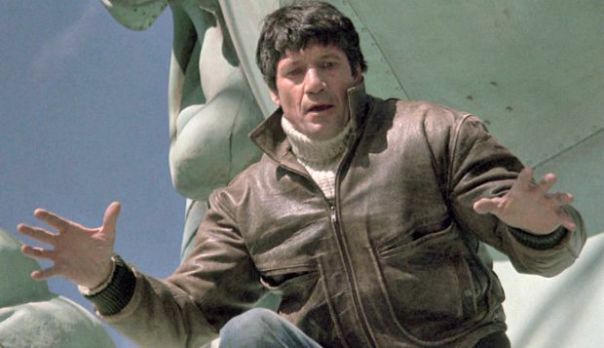 Fred Ward was relative unknown when cast as Remo Williams (he had starred in TIMERIDER (Jensen Farley ,1982) as well as embodying Gus Grissom in the superb THE RIGHT STUFF (Ladd Company/WB,1983)). 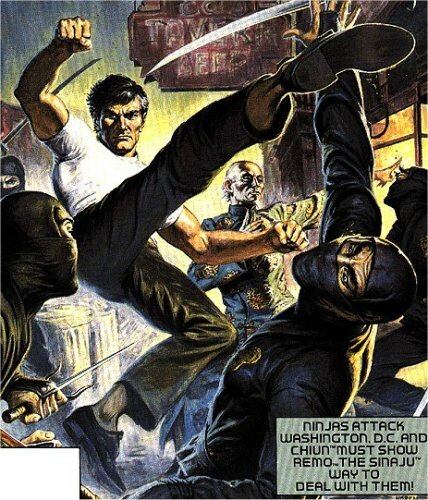 Ward, feeling this film series could raise his level of visibility, through himself into the role, doing as many of the physical stunts himself. 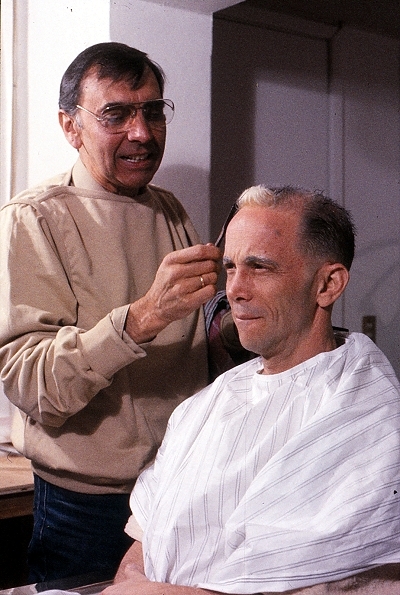 Cast as Chiun was Tony Award winning Broadway star Joel Grey (winning the Best Supporting Oscar for role of the M.C. in CABARET (Allied Artists,1972). 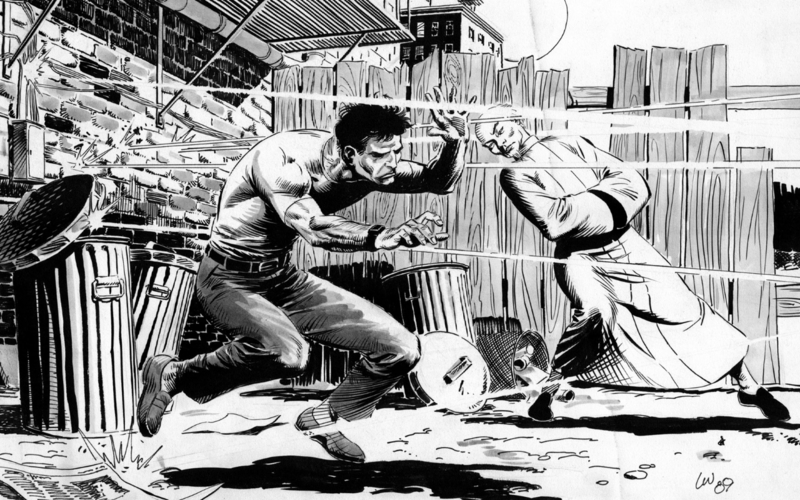 Grey was attracted to the mysticism of the role but feared offending the Pan-Asian community, particularly the Korean. 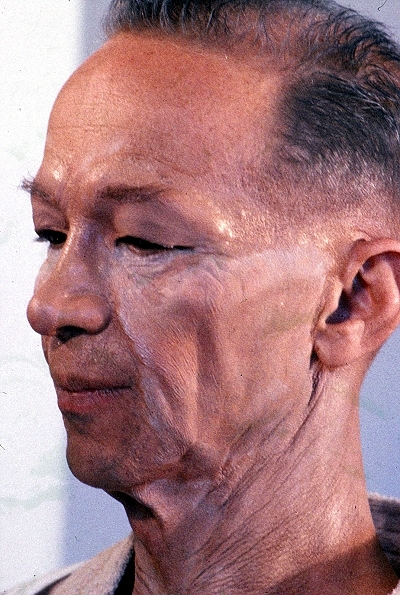 He researched and made sure that his character respected that history and he decided to take the role on the strength of the superlative make-up by Carl Fullerton. 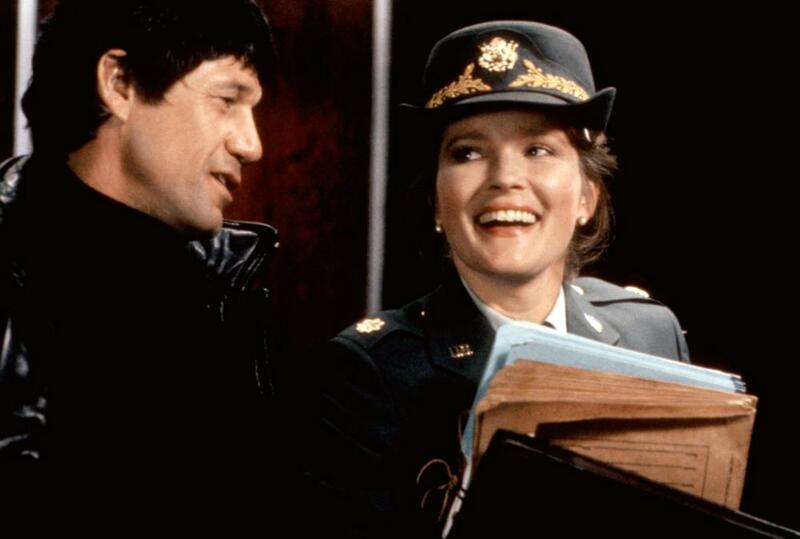 The closest thing to a female lead in the film was the casting of Kate Mulgrew as Major Fleming. This was her first lead in a major film release (her debut was opposite Richard Burton in the barely released LOVESPELL(Paramount,1981) but there was not much there for the stage trained actress to work with. 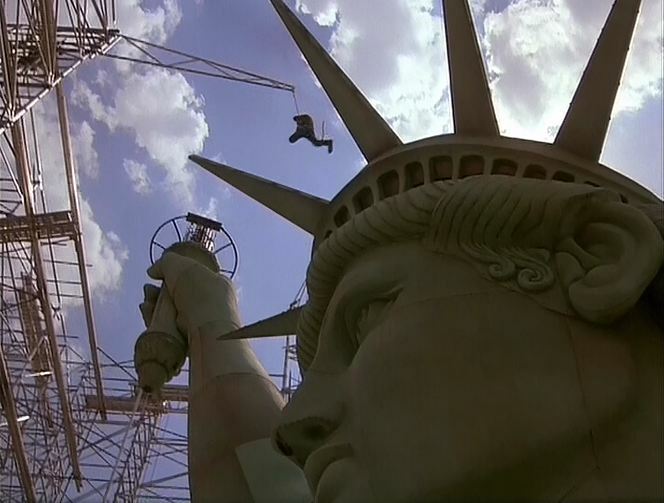 The film was lensed in New York City, Coney Island New York, Washington D.C., and various locations in Mexico. With all the expectations, the film, released October ,1985, received mixed reviews and worse, did not even cover its production costs. 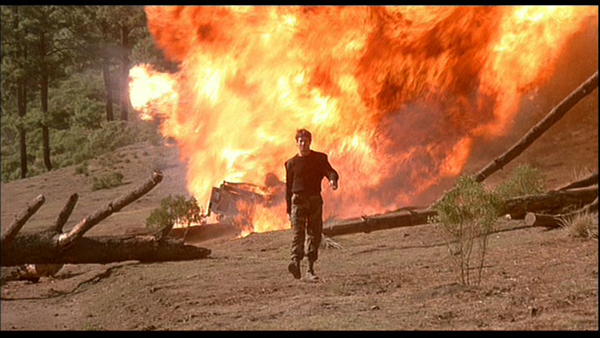 Adding insult to injury, the May release of A VIEW TO A KILL (U.A.) continued to outdraw REMO. The film started to receive cult status when it became a staple of H.B.O. and other premium channels. Remo’s bad luck sadly continued when a t.v. 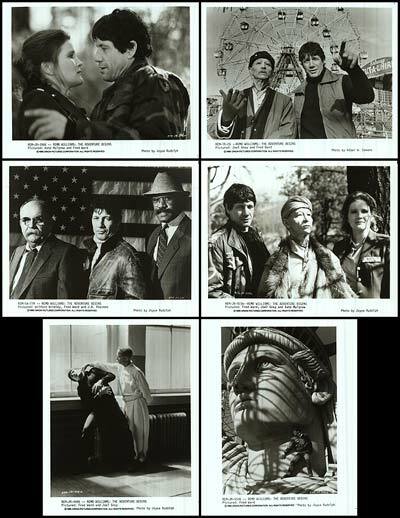 pilot starring different actors was mostly pre-empted by a Presidential Speech in 1989, and then unseen until it began to pop up on some cable channels in 2009. Now, TWILIGHT TIME goes above and beyond with their release of the film. 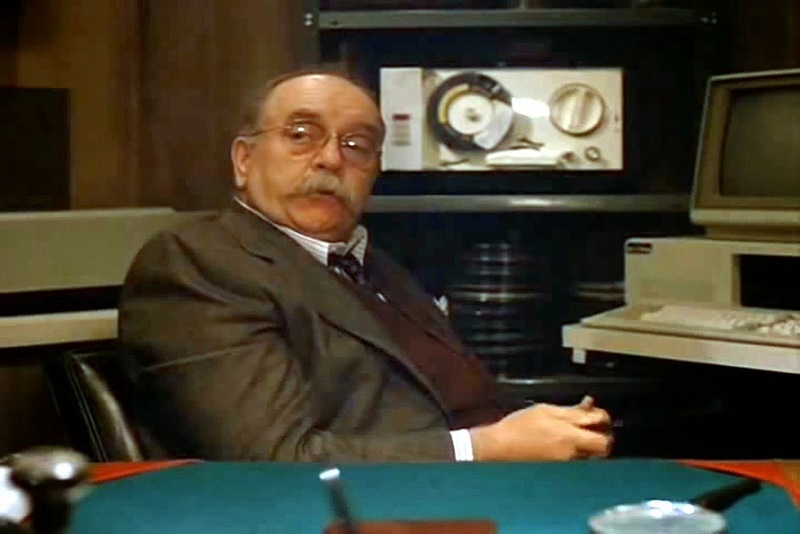 Limited to a print run of only 3,000, Twilight Time has given us a 1080p Hi Def print in its original 1.85:1 ratio (it seems director Guy Hamilton was not a fan of Panavision). 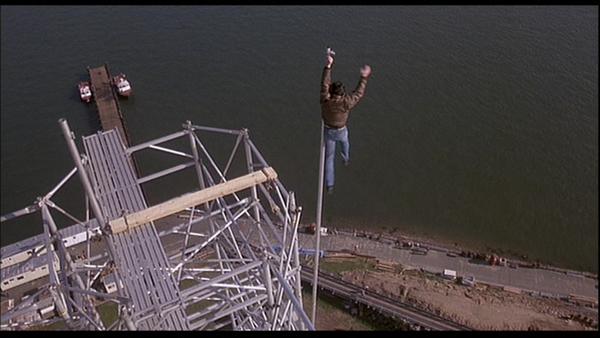 The image is sharp, showing off the cinematography of Andrew Laszlo (THE WARRIORS, Paramount,1979). Sadly, the film betrays some cost cutting (or some money not making it to the screen. Shooting in Mexico to cut costs, they had superlative craftsmen, but they had not budgeted extortion that was a daily factor at the time in the Mexican Film Industry of the time). 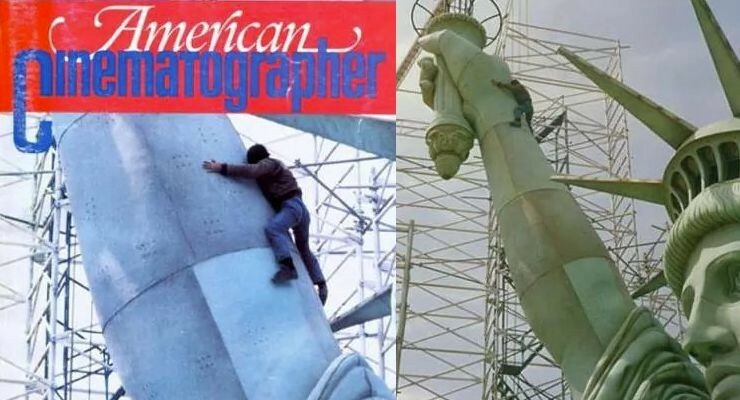 While the Statue of Liberty recreation is superb, some of the interior sets look like they were left over from a Jess Franco spy thriller (it seems some of the sets were unfinished when the filmmakers had to use them). The English 2.0 DTS-HD MA sound is rich, with hiss free dialogue. The optional English subtitles are all very easy to read and follows the dialogue and describes the action perfectly. 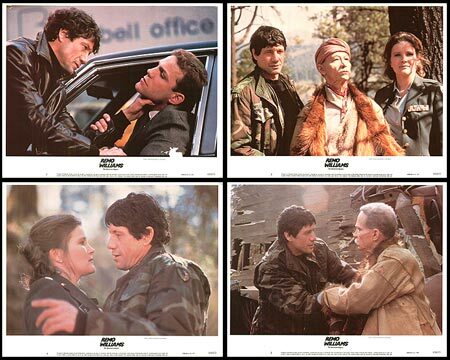 –Craig Safan’s isolated score- the synth sound dates the film as being from the 1980s, but it is a fun inventive work, mixing in traditional heroic orchestrations as well as a Korean Orchestra and even gun shots worked into the fabric of the compositions. 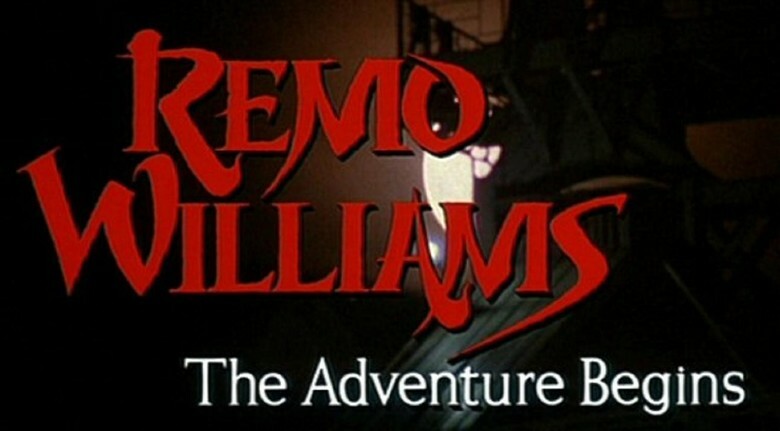 (Remo Williams -Main Theme YouTube https://www.youtube.com/watch?v=uxAjVfDOTs4 ). 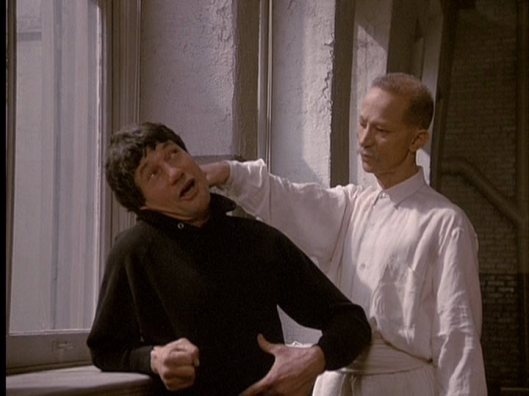 –Audio Commentary by Film Historians Eddy Fiedfeld, Lee Pfeiffer, and( friend of Scarlet) Paul Scrabo. This has got to be one of the most interesting commentary tracks in quite a while, as two of the three up front basically say that the film is not one of their favorites, and while they are quick to point out its many wonderful qualities, they seem to go into detail in pointing out its flaws. The only other commentary track that I recall being this belittling of its subject was Retromedia’s out of print Tenth Anniversary DVD of JACK-O (Tri-boro, original Direct to video release,1995). On that film, producer Fred Olen Ray’s ribbing angered filmmaker Steve Latshaw so much that the Latshaw stormed out of the recording!!! Ballyhoo Pictures once again outdoes themselves with their special mini documentaries. 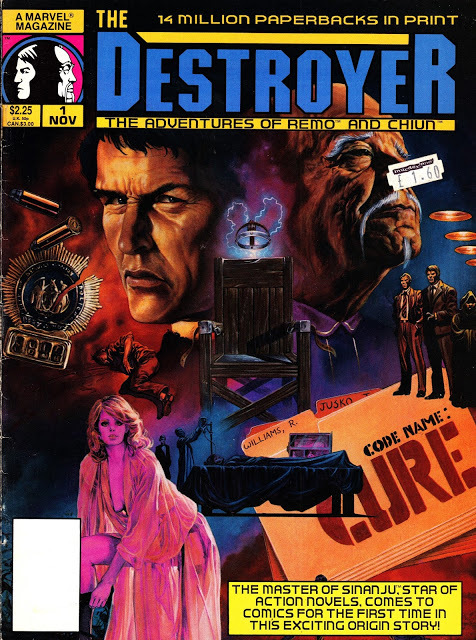 CREATED, THE DESTROYER: Writing Remo Williams. This part goes into detail about the many novels, and their history, plus interviews with author Will Murray and others. Devin Murphy (son of Warren Murphy )has taken over production of the series . 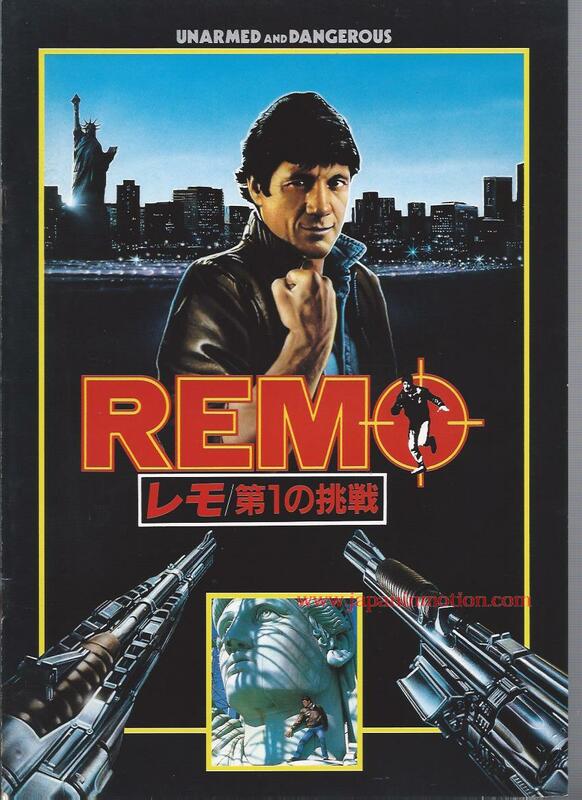 UNARMED & DANGEROUS -Producing Remo Williams. Interviews with many of the people who shepherded the film from pre-production into the final release, including producer Larry Spiegel and some of his team. 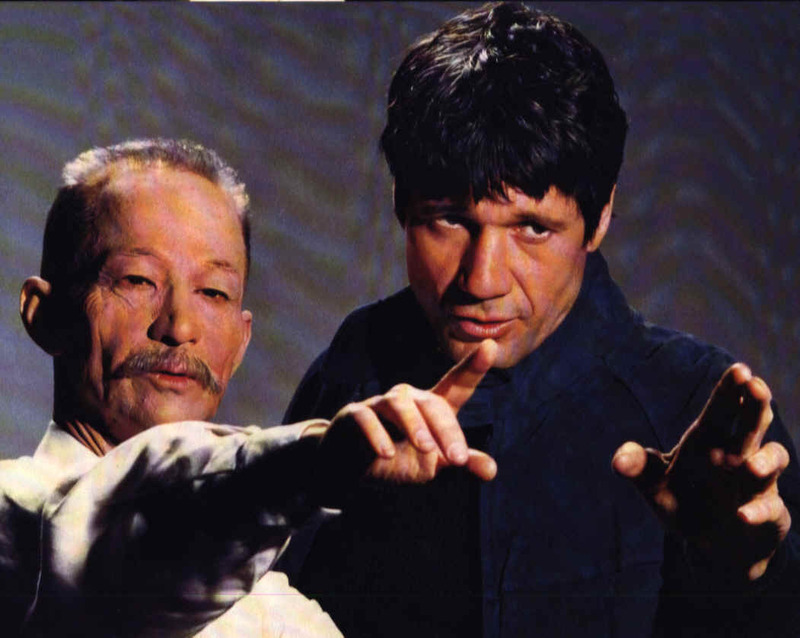 SECRETS OF SINANJU: Training Remo Williams – A nice interview with star Joel Grey. He talks about how he approached the role, and the work that he put into it. He seems (rightfully) very proud the part and has great affection for the character. Sadly, neither Fred Ward or Kate Mulgrew appear in an of the interviews. For Miss Mulgrew, it is perhaps no surprise, as it was a thankless role, but that Ward did not make himself available is a bit of a surprise/disappointment. 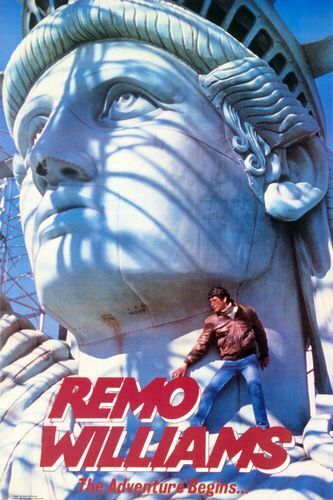 BALANCE OF POWER: Designing Remo Williams – Production Designer Jackson DeGovia gives a very informative interview (well-illustrated with production sketches) on the important job that he and his team did on making REMO WILLIAMS, plus the behind the scenes problems and some disappointments. All in all, a quite enjoyable disc given a remarkable first class release. If you are a fan of this film, then this a definite must have. If you have never seen it, this is a superb introduction to the characters. 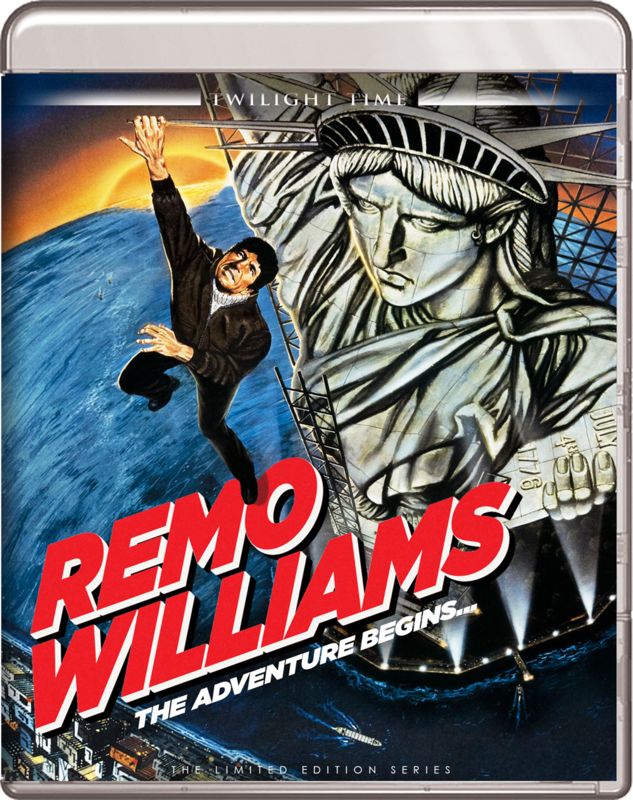 Every few years, it is announced that someone else is going to attempt a new Remo Williams film. Before that happens, you should seek out this film. It may not be a classic, but it is fun. Kudos once again to TWILIGHT TIME.